The Mountain forest at Vaset is mystical when the dark set in. When we cross the tree line the skies open up and hopefully show us the millions of stars. 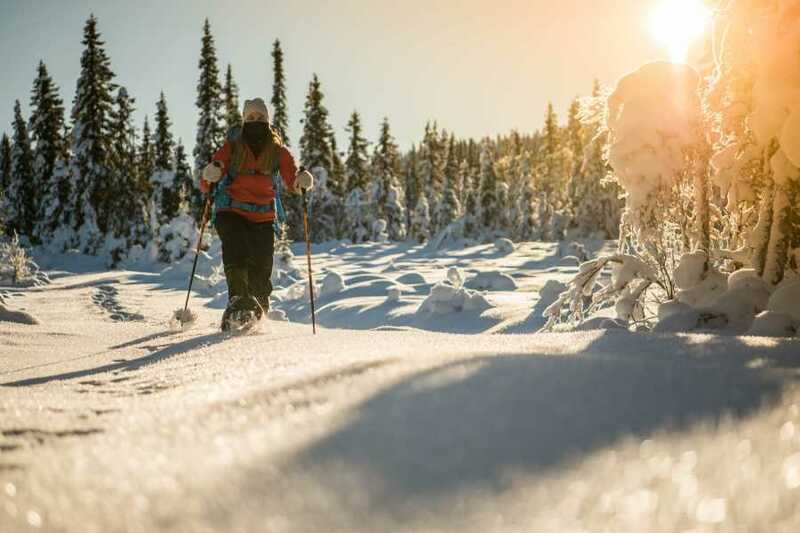 This snowshoe adventure will give you loads of impressions. During the trip the guide will tell local histories. 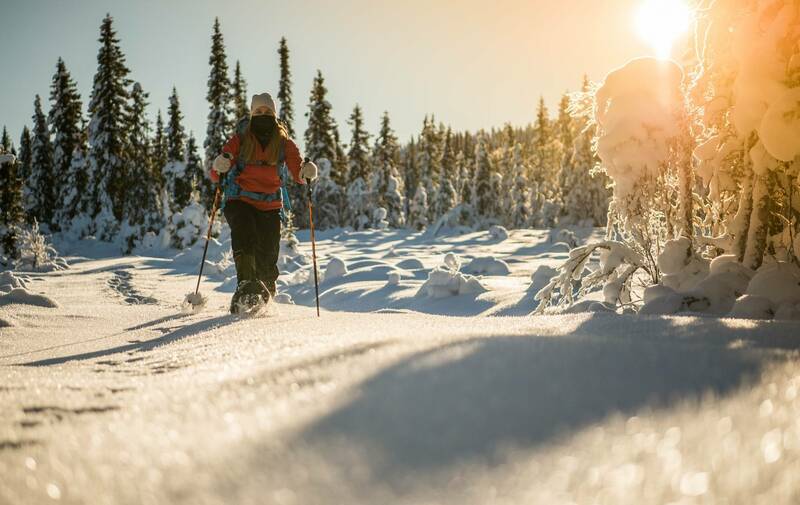 With snowshoes you will be able to hike in terrain where it could have been hard to go skiing. You will meet the guide at Brennabu. Here we put on snowshoes and headlamp and you will learn principles on snowshoeing. The guide will informe you about the program and where the trip goes, depense on the weather conditions. During the trip we`ll do a stop where you will get some hot drinks, enyoing the silence and the mystical darkness. The guide will tell local stories about the "Haugfolket". Guide, who also have nessesary first aid equipment. Winter time at Vaset can be quit cold. Where therfor warm clothing, with a wool baselayer. Where several layers, that way it is also easy to adjust your body temperature. Warm hat and gloves is also nessesary. And bring an small bag with ekstra clothing. Combine you aktivity with accomandation at Gomobo Fjellstue or Brennabu.